The numbers from this year’s 24HRTV are out. This amount is just second to the 2011 drive (hosted by Kanjani 8) that collected 1,989,414, 252 yen. Obviously, that year was understandable because it was a few months after the Great East Japan earthquake. 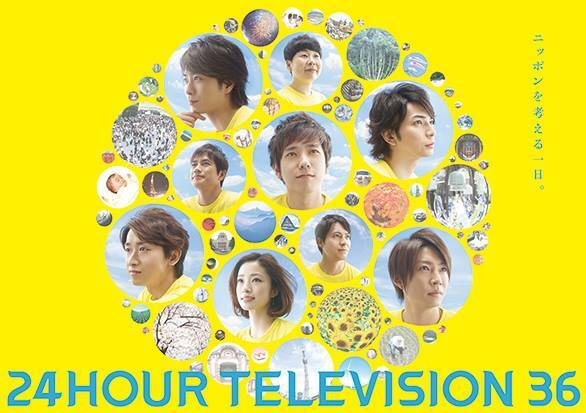 Last year’s event, also hosted by Arashi, collected 1,168,471,704, the third biggest collection in 24HRTV’s 36-year history. Total charity shirts sold: 1.3 million. Sales this year set a new record; the design was a collaboration beween Ohno and Kusama Yayoi. Last year’s shirt, a collaboration between Ohno and Yoshitomo Nara, sold 764, 198 pieces. Let’s calculate: a shirt cost 1,500 yen x 1.3 million pieces = 1.95 billion yen or $20 million. Sugoi! 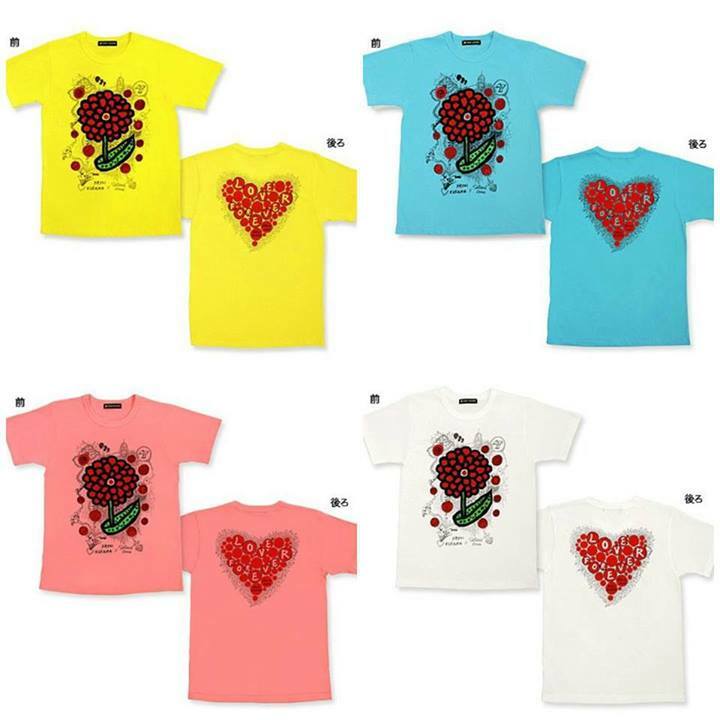 Whoever thought of letting Riida design the shirts in collaboration with some of Japan’s famous artists was a genius. Ratings averaged 18.1%; peak was during Riida’s drama at 23.4%. The highest average rating thus far was in 2005 with SMAP’s Shingo as one of the hosts; that rated 19%. 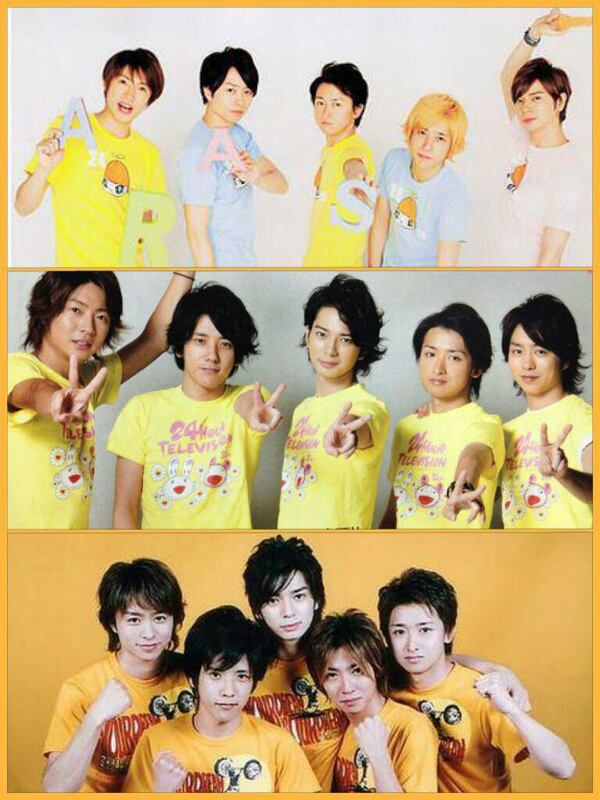 Second highest is a tie between 2007 (hosted by Tackey & Tsubasa) and 2008 (Arashi) at 18.6%. This year’s rating is at third. According to reports, while it’s true that Arashi did not get paid for their 24HRTV hosting, they did donate their fees. Rumors said the amount was 50 million yen ($500,000+). © Yasminka Lee (blogging since 2001). Unauthorized use and/or duplication of the contents in Orange Jasmine Purple Yam without permission from the author/owner is strictly prohibited. Excerpts and links may be used, provided that full and clear credit is given to Yasminka Lee/Orange Jasmine Purple Yam with appropriate link to the original content.